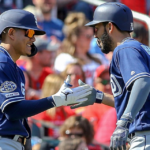 The Padres have placed finding a frontline starting pitcher and a legitimate third baseman as their top priorities ahead of the 2019 MLB season. 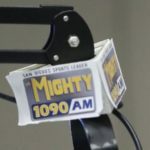 They have already been mentioned in rumors concerning both positions. Unfortunately, none of those rumors came to fruition. The Padres were said to be in talks with the Seattle Mariners about a trade that would have sent Jean Segura and Mike Leake to San Diego. The rumor suggested that the Padres were offering a package surrounding Wil Myers. That rumor lost steam just as quick as it surfaced. The Mariners eventually sent Segura to Philadelphia for J.P. Crawford and Carlos Santana. The Padres were mentioned in Noah Syndergaard rumors several times, with experts discussing possible trades between the two teams. These scenarios included Padres pitching prospects Chris Paddack and Mackenzie Gore, as well as current starting pitcher Joey Lucchesi. Bob Nightengale tweeted on Dec. 4 that the Mets have said they prefer to keep Syndergaard on their roster since they plan to contend in 2019. 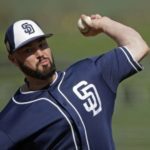 This leaves the Padres looking for a new lead to acquire a starting pitcher via trade unless they sign a starting pitcher in free agency. Any, and maybe all, speculation of which route they will use to pursue a starting pitcher could be resolved next week. Some of the more coveted free agent starting pitchers should still be on the market when the Winter Meetings begin, like Nate Eovaldi and Dallas Keuchel. 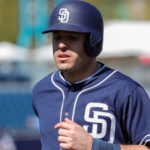 But what if Padres general manager A.J. 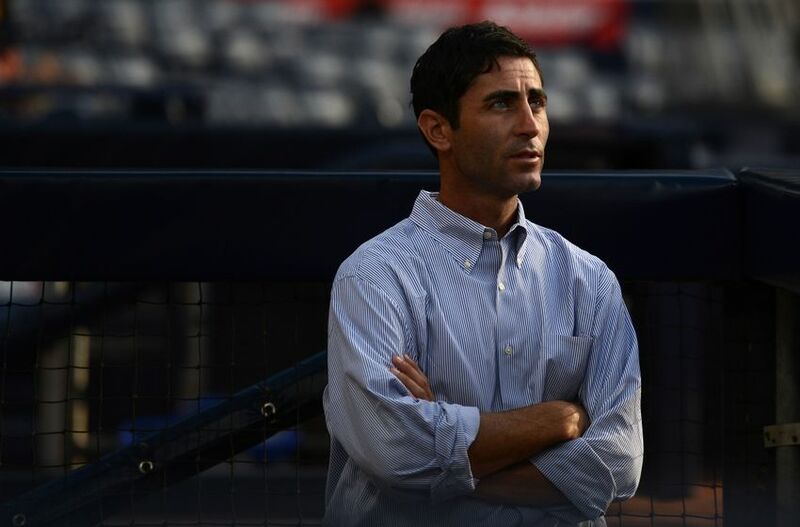 Preller would prefer to use his prospect capital to acquire a front-of-the-rotation starter instead of awarding a substantial contract to a free agent? Who would he pursue? 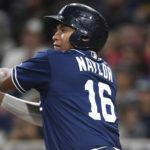 In an era where several MLB clubs are opting to tear down their current rosters and start anew, there could be plenty of teams willing to talk to the Padres about their prospects. San Diego has the top farm system in baseball, according to MLB Pipeline. 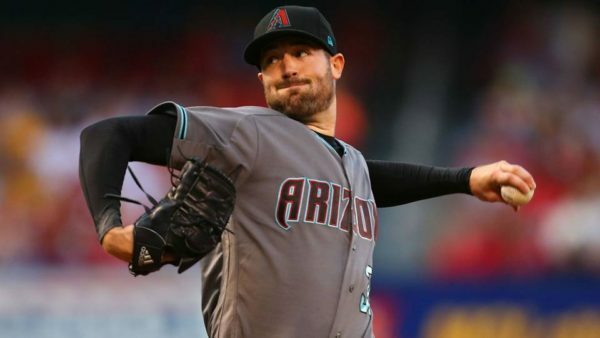 The Arizona Diamondbacks fell short of returning to the postseason in 2018. The team has indicated that it’s willing to initiate a “fire sale” and revamp their roster. First baseman Paul Goldschmidt and pitcher Zack Greinke have been mentioned in trade rumors. One pitcher who hasn’t been mentioned is Robbie Ray. The Diamondbacks haven’t shown any desire to move Ray, but that doesn’t necessarily mean he isn’t available. Ray finished 2018 with a 12.01 K/9 and a 3.93 ERA. Going to San Diego immediately puts him at the front of the starting rotation. He is eligible for arbitration through 2020 before becoming a free agent. The Toronto Blue Jays enjoyed a short run at the top of the American League East, reaching the ALCS in 2015 and 2016. They never advanced any further. Going forward, the Blue Jays are preparing to avoid the cellar in a top-heavy division. The Tampa Bay Rays have quietly built their team, and soon they will be competing with the New York Yankees and the Boston Red Sox. The Blue Jays aren’t contending any time soon, and they’ll look to see what they can fetch in return by dealing any of their current players. 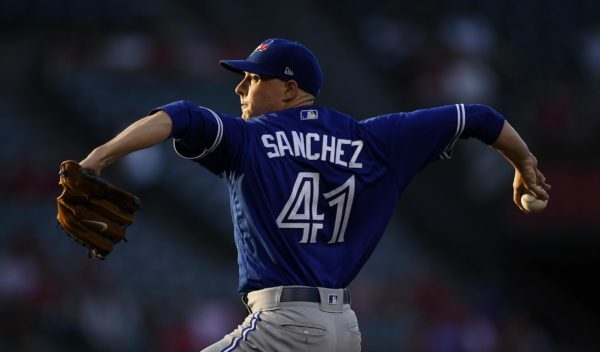 One such player is Aaron Sanchez. Like Ray, Sanchez is arbitration-eligible through the 2020 season. It wouldn’t take much to acquire him, and adding him to the starting rotation makes it better. This could be a “think outside the box” trade proposal. Jakob Junis is under team control for two more seasons, then is arbitration-eligible through 2023. Junis doesn’t seem to miss a lot of bats, but his 2.19 BB/9 is intriguing. The Royals have just started their rebuild, but Junis is controllable for the next several years. It’s hard to imagine they would deal him, but nothing is ever outside the realm of possibility. The Cleveland Indians are said to be open to trading either Corey Kluber or Trevor Bauer. Padres fans can’t help but think about Ryan Ludwick when they hear Kluber’s name, but there could be a chance Kluber dons a Padres uniform after all. He’s owed $52.5 million over the next three seasons and it would take a significant prospect haul, but acquiring Kluber instantly makes the rotation better. Or, they don’t trade for Kluber and instead go for Trevor Bauer. He’s arbitration-eligible for the next two seasons, and the cost to acquire him wouldn’t be as substantial. And they would only have to give him 1-year deals if they land him, thanks to the bet he made with a friend. The Winter Meetings begin on Dec. 9 and run through Dec. 13. Will there be any new names on the 40-man roster next week? Stay tuned. Next Mariners’ Kyle Seager is on the Block. 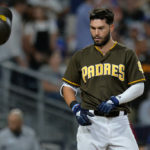 Should Padres Stay Away? 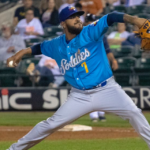 Ideas: Three moves for 2019 improvement 1), Franmil Reyes, Joey Luchessi, Michael Baez, and Luis Torrens for the Indian’s Kluber, prospect – Oviedo and $10MM, 2) W. Meyers, C. Richards, Stammen, Yates and Cal Quantril for Tehran and Camargo and 3) sign Bryce Harper for $325M for 10 years with player opt out after year 3 and 5 with trade rights for team years 6-9. Paul you have a punny SOH. Don’t know why the Padres are so afraid to let their pitching talent develop. Lauer, Luchessi, Nix, Paddack, and Strahm make a great young pitching rotation while our players learn how to hit with consistency and score runs to support them. Allen and Quantrill are knocking at the door and there is also Perdomo, Richard, and Mitchell who have ML experience. Trevor Cahill is available as a free agent if we need a rotation “piece”. They’re not. But how exactly are they going to win anything with a rotation of guys all under 25? More importantly, mentoring and leadership go a long way, even as crappy as Clayton Richard was, he did a lot to nurture our pitching talent: veterans will bring that in many circumstances. All winning teams seem to understand that and do it. Keep in mind too, workload isn’t something you want to put on your young potential pieces. Lauer, Luchessi, Nix, etc. are not ready for 200 innings. The minors play shorter seasons and it takes time to get up to that workload. Besides all that, how many pitching prospects actually develop into rotation pieces? A few of these guys out of the bunch will get there and most will fail. Sorry Padre Paul, I usually agree with you but AJ and company also need to just start spending some money in some wise places (2 SP’s and 2 position players) and at least pretend that they’re trying to get us to .500 this year. That mark seems to elude the AJ era. They owe us two arms at this point so we can start deluding ourselves about this “contention” we’re supposed to be having (while missing several other pieces to do so). Acquire Sonny Gray. It shouldn’t take a lot to acquire and you have him for 6.5 for a year and if he is terrific offer him a qualifying offer for 2020 season. The Padres are trying to acquire young, controllable, TOR pieces this offseason without mortgaging their future. With that being said; why would the Padres be looking for someone with two or less years of control? Thor fit what they were looking for, but it looks like the Mets are going to hold on to him and try to contend this year. A couple of names that would not cost an arm and a leg that fit into what the Padres are looking for are José Urena and Dylan Bundy. They would fit into the rotation nicely with the soft throwing lefties. Well hey, they dumped Enyel de los Santos to grab Freddie Galvis for one year. That worked out great….. De Los absolutely moved down AAA and now Galvis is gonna walk. Smart AJ stuff, I guess we should expect more of that.